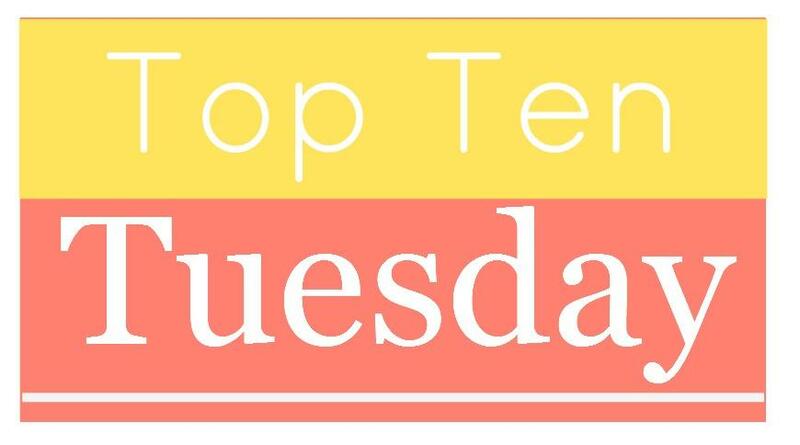 This week's Top Ten from The Broke and the Bookish asks for our Top Ten Favorite Beginnings/Endings In Books. Obviously there will be spoilers because we’re talking about endings! 1) Rebecca by Daphne du Maurier: “Last night I dreamt I went to Manderley again.” That perfect opening line set the eerie mood for the whole book. 3) The Hitchhiker's Guide to the Galaxy by Douglas Adams: Arthur Dent is an ordinary man is every way, but his whole life (and planet) is blown to hell in the first few pages of Adam’s famous book. 4) Anna Karenina by Leo Tolstoy: “Happy families are all alike; every unhappy family is unhappy in its own way.” That famous line sets the tone for one of the most tragic stories in literature. 5) Room by Emma Donoghue: "Today I'm five." The horrific events that unfold throughout the book are only bearable because of the innocence of our young narrator. 6) Gone with the Wind by Margaret Mitchell: “I can't think about that right now. If I do, I'll go crazy. I'll think about that tomorrow." Clocking in at more than 1,000 pages, this epic novel ends on a note that reminds us Scarlett is a survivor. She’ll manage somehow, even when life seems impossible. 7) The Harry Potter Series: After seven books of turmoil the final line, “All was well” was such a beautiful picture of closure. I loved it. 8) The Woman in Black by Susan Hill: This book scared me silly. And just when you think the terrifying twists are over, Hill throws one more major one your way. 9) Catching Fire by Suzanne Collins: I read Hunger Games and this one back-to-back before having to wait a year for the third and final book in the series to be released. It was agony not knowing what happened to everyone after the cliff hanger. 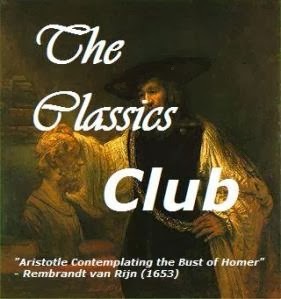 10) The Count of Monte Cristo by Alexandre Dumas: It’s a big book and a lot of chapters to get though. But if you still with it for 1,400 pages the payoff is better than any other book I’ve read. This tale of revenge is so perfectly planned out that it will leave you breathless. I decided to host this readalong in August to coincide with Adam's awesome annual Austen in August event. It will be very relaxed. This is the sign-up post. I'll post my thoughts on the first half on Friday, August 16th. Then I'll post my final thoughts on August 30th. Join in if you'd like and post whenever you want! 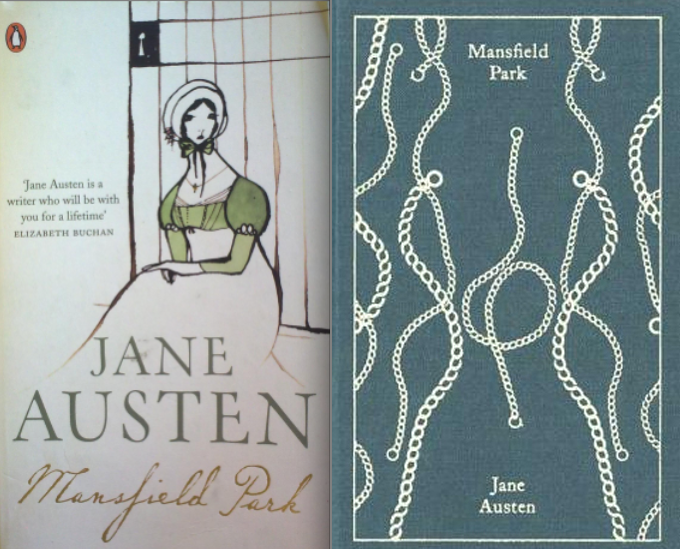 I read Mansfield Park at the height of my Austen love. At that point I'd read all of her major novels except Emma. 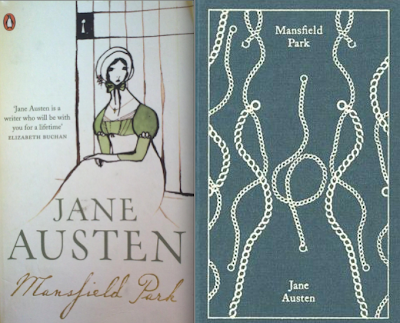 I loved every single one of her books that I'd read and so my expectations were high for Mansfield Park. I was incredibly disappointed. Fanny was an annoying, moralistic heroine and the final romantic pairing just didn't work for me. Since then I've always wondered if I gave MP a fair shake. It's not usually anyone's favorite Austen novel, but it's often called her most complex novel. For years I wanted to reread it and see if I could get past my first impression (bonus Austen points for a Pride & Prejudice reference). So, I know that's not the strongest recommendation for reading along with me, but Austen in like pizza, even if it's bad it's still good. You'll never regret reading one of her books. I'm looking forward to rereading MP with a bit more objectivity and some good discussion this time around! Chemistry has never been my thing. I hated it in high school (except for the part where we melted mechanical pencils over the Bunsen burner). Recently watching the chemistry Crash Course episodes has reminded me that chemistry is not just the boring science class I struggled to stay awake through in high school. Chemistry is everything around us and understanding a bit about it will help me better understand the way the world works. So I picked up The Disappearing Spoon with that in mind and was richly rewarded. Kean’s writing style was fun and made the subject matter interesting. He talks not only about the science behind each element, but about the scientists who discovered them and the impact they had on the world. For example Mendeleev, who is credited with creating the Periodic Table, had a fascinating start. He was born in Siberia, the youngest of 11 children. His father died when he was only 13 and his mother worked incredibly hard to give him the chance to go to school. Imagine having to overcome all of those things just to be able to go to school! The periodic table has changed the world in both positive and negative ways. Kean doesn’t shy away from the damage that’s been done because of the discovery of a new element. He talks about the effects of vaccinations and medicines and also at the way chemistry made things like the atom bomb possible. When cell phones became wildly popular in the 1990s the fight to find more of the metal used to create them caused the Congo to explode with fighting. People were in a frenzy to provide the metal that was in such high demand. This balanced look at the Table reminds us that with great knowledge (just like great power) comes great responsibility. Almost any scientific advance can be used for good or bad and there will always be a struggle to use it correctly. BOTTOM LINE: The most interesting book I’ve read ever read about chemistry and one that kept me intrigued the entire time. We live in a truly remarkable world and I’ll never regret reading a book that opens up a new corner of that world to me. Pair with a viewing of the complete list of Hank Green’s Crash Course show on chemistry. There’s also a 1943 movie called Madame Curie, but I can’t find a copy of it anywhere so I have no idea if it’s any good. Another review at Scuffed Slippers and Wormy Books. Young love, high school sweethearts and any other cheesy label I can think of just doesn’t fit this bittersweet story. Eleanor is the new girl at school and she’s an easy target for others to pick on. She doesn’t wear the right clothes and is never quite able to tame her curly red hair. Despite this she becomes friends with Park, a quiet but popular Korean-American boy she meets on the bus. The two form an unlikely bond over a shared love of music and comic books. As sweet as their relationship is, there’s a much bigger story that Rowell is telling. She touches on so many issues; popularity, school bullies, first love, growing up, gender identity, culture clash and so much more. As an added bonus, the book is set in 1986 in Omaha, Nebraska and is full of pop culture ‘80s references. Eleanor’s personal life is rocky to say the least. Her secrets slowly unfold throughout the book and you can’t help but love the prickly teen. She is so raw and vulnerable and of course because of that she’s hard and defensive on the outside. As her past is revealed it’s painful to see what she’s been through. These beautiful characters feel so real. They aren’t simple, they don’t fit into a box, they’re wonderfully complex. Even their parents aren’t generic pictures of good or bad, they make mistakes and selfish decisions like any real parents do. I particularly loved getting to know Park's parents. Their relationship and the very different way they interact with their children felt like a real family. BOTTOM LINE: It’s fitting that Rowell’s next book is titled “Fangirl” because I think I’m officially a fangirl for her work. Between this book and her first one, Attachments I feel like I’ve found an author who creates some memorable characters and tells wonderful stories. I can’t wait to read more from her. Top Ten Words/Topics That Will Make You NOT Pick Up a Book. 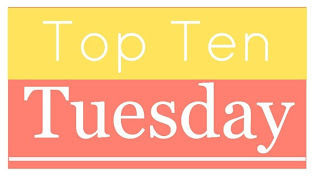 This week's Top Ten from The Broke and the Bookish asks for the Top Ten Words/Topics that will make you NOT pick up a book. This is the exact opposite of the April question. I’m pretty open minded about trying new genres, but there are a few words that tend to make me avoid a book. That’s not saying I’ll never read something that falls into these categories, they just aren’t my normal thing. 1) Political commentary – Really, politics haven’t changed much over the past few centuries. 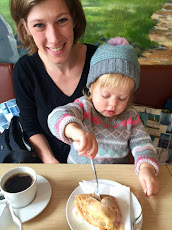 2) Parenting – Just not there yet. 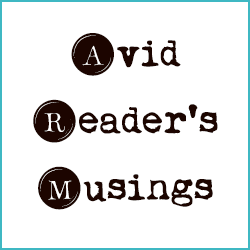 3) Romance Novels – Not my jam. 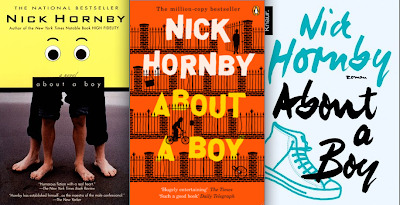 4) Teen angst – I’m okay with some (think Harry Potter book 5), but too much and it wears me out. 5) Self-help – I really liked The Happiness Project, but other self-help books usually just seem like common sense tips to me. 6) Chick Lit - I know there are some great ones, but there’s also a lot of junk. 8) Celebrity Memoir - I don’t think any 20-something celebrity has lived enough to write a book about their life. 9) Fan Fiction – I’d rather read the fiction that inspired it. 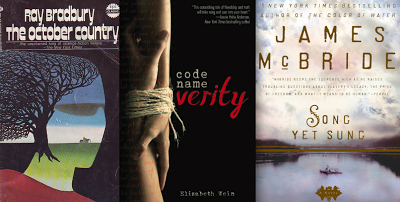 10) Classic rewritten as romance novels - Think Jane Eyre rewritten as erotica, just wrong. Most people know Roald Dahl because of his wonderful stories for children. From Matilda to James and the Giant Peach, Charlie and the Chocolate Factory to the BFG, Dahl has enthralled generations of kids. But somehow most people have missed out on his short stories for adults. He published multiple collections in this vein and this one is a perfect example of his work. The book reminds me of short stories from both Ray Bradbury and Flannery O’Connor (LINK TO BOTH). He tends towards a darker view of the world and people in general. Some of the stories are creepy, like The Sound Machine and the chilling Genesis and Catastrophe. Others like The Umbrella Man and Vengeance is Mine Inc. are quirky and fun. BOTTOM LINE: If you’ve never read any of Roald Dahl’s adult stories this is a great place to start. The man had a wicked sense of humor and a style of writing that people have adored for decades. I’d also recommend his nonfiction memoirs Boy and Going Solo. Danny is a lost soul who never manages to grow up. After living in New York for years bouncing from one job to the next he finds his life to be empty. He travels to Eastern Europe to meet his cousin Howard who is trying to open a hotel in a rundown castle. Their complicated history makes their relationship tenuous at best. The atmosphere is perfectly set, a creepy castle in Eastern Europe, a dark trauma from the past returns to haunt the characters, sounds perfect. Unfortunately the plot quickly becomes weighed down with unnecessary side plots. There’s Danny’s obsession with technology, Howard’s complicated marital life, a crazy baroness living in one tower of the castle, etc. Each of these elements could be interesting, but together they create a bit of a mess. Just when the plot does hook you it changes gears completely and we find a new set of characters in a writing class in prison. This drastic switch never quite meshes with the feel of the other plot line. Egan works to bring the stories together, but it just doesn’t feel right. Then at the end she tries to wow us with a “twist” that’s not as shocking as it should be. We switch narrators one more time in the final chapters and it once again feels like an entirely new book. BOTTOM LINE: I admire the writing style, but the story itself never comes together. The author couldn’t seem to decide on a narrator and so the book feels like three separate short stories smashed together. Try her much more successful book A Visit from the Goon Squad instead. Tally lives in Uglyville. She is an “Ugly,” someone who hasn’t yet received the surgery that all individuals get at age 16 to make them into a “Pretty.” As she watches her best friend enjoy his extravagant new lifestyle as a Pretty she can’t wait until it’s her turn. All of that changes when she makes a new friend and learns there might be a world outside the city life she knows and there might be some hidden secrets to the life of a Pretty. This one felt like a completely cookie-cutter dystopian novel. Take one misunderstood girl. Add an unnecessary love triangle. Pick a random dystopian elements where the whole society is being deceived about something. And voilà you have a young adult dystopian novel. While I've enjoyed many of these in the past this one just fell completely flat. The characters feel like cardboard cutouts. I couldn't even make myself care what happens. I do like the idea of a society where everyone receives the same plastic surgeries so there is a visual equality. It's an interesting idea for a dystopia but in execution it felt very forced. I will say I think this book would have been a great precursor to the Hunger Games series. It’s almost telling the story of how the Capital society became what it is. BOTTOM LINE: I won’t be reading the rest of the series and this isn’t one I’d recommend. I have been so hesitant to write this review because of the absolute deluge of reviews I’ve already seen and also because I felt like I still needed to process it. It’s been a few weeks now and I think I can put my reaction into words. It’s funny that this book is so hard to review considering it’s less than 200 pages long. We begin with our narrator, a forty-something adult returning home for a funeral. Soon he is bombarded with long-forgotten details from his childhood. When he was seven a series of odd events happened to him. An opal miner who was a lodger in his home commits suicide. Then his path crosses with the incredible Hempstock women, particularly the 11-year-old Lettie and around the same time he gains a new nanny, Ursula Monkton. This fantastical walk down one boy’s memory lane brings up so many thoughts about our own childhood memories. How much is fact, how much is the fiction we tell ourselves? Can we trust our memories or have they become distorted with time and our worldview as a child? Many of my favorite scenes in the book take place in the Hempstock women’s kitchen. It seems our young narrator is always eating. He describes the dishes in detail, mounds of shepherd’s pie, pancakes, etc. It paints such a picture of comfort and warmth and reminds me how food is such a strong trigger for memory. I’m going to avoid sharing any major plot points, because the apprehension of not knowing what’s next is what makes the book impossible to put down. It is entirely a Gaiman novel in every sense of the word. So expect it to be a bit dark, include some fantasy elements and gorgeous writing. If you already love his work you won’t be disappointed. BOTTOM LINE: For me it was a beautiful and strange novel. It was short, but it’s been a few weeks since I read it and I keep thinking about different aspects of the story. It raises questions and answers others. 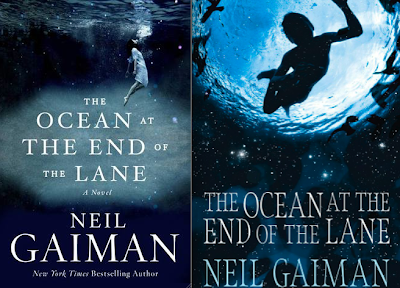 Gaiman’s writing brought all these elements together to create something I know I’ll return to again and again. For anyone who is new to Gaiman’s work but would like to try more I’ll refer you to a previous post of mine. I recommend books based on his work, but you can use the list in reverse, picking your next book by him based on work by other authors. There have already been some beautiful reviews written about the bigger issues in this deceptively simple novel, memory, female portrayal in literature, fantasy elements in coming-of-age, etc. A post on the strength of female characters in the book. So based on my experience with half a dozen movie versions of this book, I assumed the Cardinal was the big baddie and the story was mainly about the three musketeers. Reading it proved it to be a very different book. The Cardinal is certainly not the hero, but his role is more ambiguous than I expected. The true villain is actually the Lady DiWinter and oh my gosh, she is fantastic! I wish this book was called Don’t Mess with DiWinter. I have never encountered a more manipulative genius in literature! She’s a deadly version of Scarlett O’Hara. Everything she does is perfectly calculated. The book didn’t really click for me until she took center stage. Honestly, I could have done without about half of the scenes with D'Artagnan, Athos, Porthos, and Aramis. They are all great swashbuckling scenes, but their silliness is a bit exhausting. Aramis wants to be a priest, but he doesn’t really because he’s in love with a woman. Porthos is a preening fool who uses different women to fund his extravagant lifestyle. Athos, also known as emo boy, is moody and dramatic. Sure we soon learn why he is the way he is and it’s a great reason, but still the emo tendencies get a bit old. D'Artagnan is the biggest goof of them all. When he isn’t challenging every man he meets to a duel, he’s falling in love with every woman he meets. Ironically the woman who he first falls for and who continues to love him is named Constance; her love is constant, while his certainly is not. 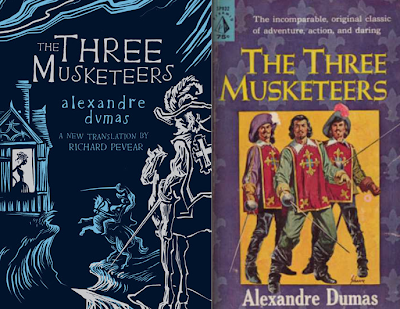 The book begins as D'Artagnan heads to Paris to join the king’s guard and become a musketeer. 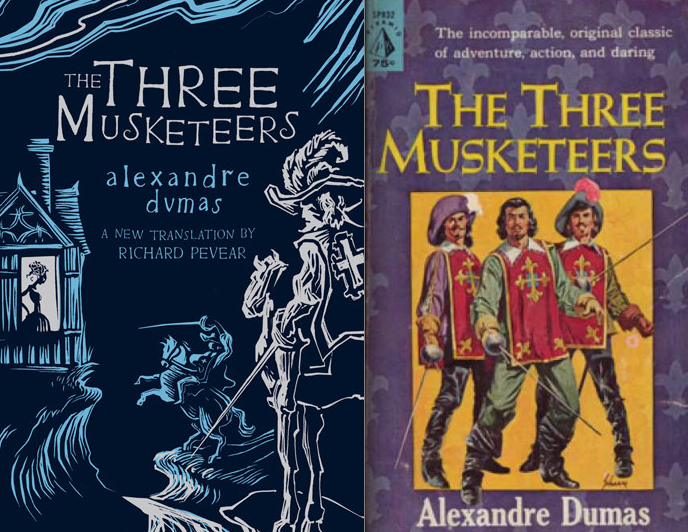 He meets three musketeers along the way, Athos, Porthos, and Aramis, and after a few misunderstandings the four become inseparable. The cocky quartet is constantly getting into trouble because of the unnecessary risks they take. At the same time they are pretty great at what they do and it’s fun to watch them duel their way out of every situation. BOTTOM LINE: The Three Musketeers doesn’t have the same complexity and depth as The Count of Monte Cristo and so it’s not quite as satisfying. It is a really fun read and gives us some wonderful characters. Lady DiWinter is certainly one that I’ll never forget. I’m looking forward to reading some of the other books in the D'Artagnan series. 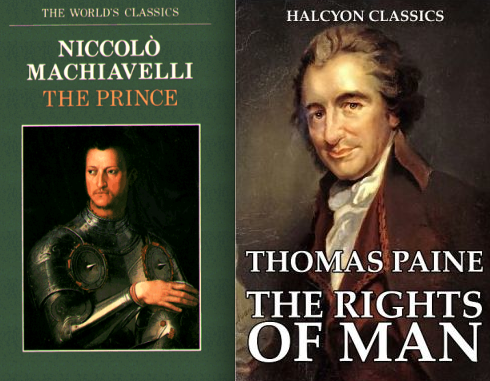 I recently decided to read both The Rights of Man and The Prince. It was interesting to read the two political pieces back-to-back. I definitely preferred The Prince, but there were aspects of both that I liked. The Prince is filled with advice for leaders hoping to hold on to their positions. This book does a great job at describing situations of power and statesmanship. From political and corporate power struggles to attaining advancement, influence and authority over others, Machiavelli’s observations apply. He gives advice based on the example of many leaders who came before, especially those in Italy. I loved reading this while watching Game of Thrones. So much of the advice is applicable. The show is all about vying for the throne and multiple people desperately maneuvering to get closer to the power. The book is all about the different ways of ruling, gaining favor, ruling with fear, etc. I loved seeing how the advice in The Prince was so perfectly mirrored in the different actions of characters on GOT. Every Lord or Prince in GOT takes a different route in their struggle for power and each one is like an example acting out the pros and cons of the advice in The Prince. Just like being a parent, the ruler must decide which is more important to him. If he is only feared there is always the chance of disloyalty and revolt. If he is only loved than people might not respect his leadership and will rise against him. It is a difficult decision to make. BOTTOM LINE: Ruling has always been a cutthroat profession. One must almost always chose between making your subjects love you or fear you and that decision is at the heart of this book. I enjoyed reading about the different ruling styles and once again realized that not much has changed in politics. Written during the era of the French Revolution, this book was one of the first to introduce the concept of human rights from the standpoint of democracy. The Rights of Man was actually published as a direct response to a piece written by Edmund Burke attacking the French Revolution. Paine’s book focuses on the positives of that revolution and why it was necessary. I think it’s important to learn more about the conversation that was happening when our nation was being developed. We were building something from scratch, but we were being influenced by everything that was happening in the countries around us. The core argument in the book rings true. A government’s job should be to protect the rights of its people. It’s not the government’s job to create those rights, only to protect them. Paine argues that the more power a government has the more it takes away the rights of its people, the opposite of what it’s supposed to do. He argues that because man is inherently evil, he will default to evil when given too much power. BOTTOM LINE: Not a book I’d reread for fun, but one that I think it is important to read. Understanding the decisions that were made when your nation was created helps you understand many of the conversations currently happening in our country. p.s. These books have the ugliest covers! Marcus, an unusual 12-year-old and Will, a detached 36-year-old cross paths in an unexpected way and find themselves forming an odd friendship. The two seem to have nothing in common, but somehow they bond. Marcus’ mother struggles with depression and his father lives out of town. In addition to that he is mercilessly bullied at school. Will provides a bit of objective advice about his life and a safe haven for the overwhelmed boy. I love the way Hornby writes and the characters he creates. You don’t actually have to like the characters to like the story. I really appreciated the fact that Hornby didn’t force some unbelievable romantic relationship into the story. He lets the friendship take center stage. His books often revolve around man-children who are terrified to grow up and accept any real responsibility. Will definitely meets those requirements and he bugged me throughout the book. He is supposed to be so incredibly cool, but he just came across as a complete loser to me. He has no real friends or family. He has never held a job in his entire life. Every single decision he makes is completely selfish and self-serving and he is a habitual liar. All of those are red-flags and if I found out a guy I was dating lied about having a child, I think that would be a serious deal-breaker. Marcus was by far by favorite part of the book. His odd way of looking at the world (possibly autistic?) is so honest, but also heartbreaking. He’s completely logical, but can’t pick up on normal social cues or sarcasm. It’s his influence on Will, unknowingly encouraging him to take a risk and try to engage in his own life, which had the biggest impact on me. It made me a bit sad that Marcus changed so much by the end of the book. BOTTOM LINE: I enjoyed this odd story about an unlikely friendship. It’s not my favorite Hornby novel (that would be High Fidelity and Juliet, Naked), but it’s up there. It’s also a good place to start with his work. I have a feeling that Marcus will stick with me for quite a while. How do you raise a reader? I’m not ready to make the leap into parenthood (is anyone ever ready? ), but lately I’ve been thinking about raising readers. So I wanted to ask all of you moms and dads out there, how do you encourage your kids to read? I know some people are naturally inclined to be readers and others hate it. How do you get your kids to read without it feeling like a chore? When I was growing up we always had rules about how much TV you could watch in the summer time. You could only watch 1 hour of TV for every hour you spent reading and you had to play outside a lot as well. I already loved to read at that point, but I wonder if that rule made my siblings resent reading or see it as a chore. p.s. 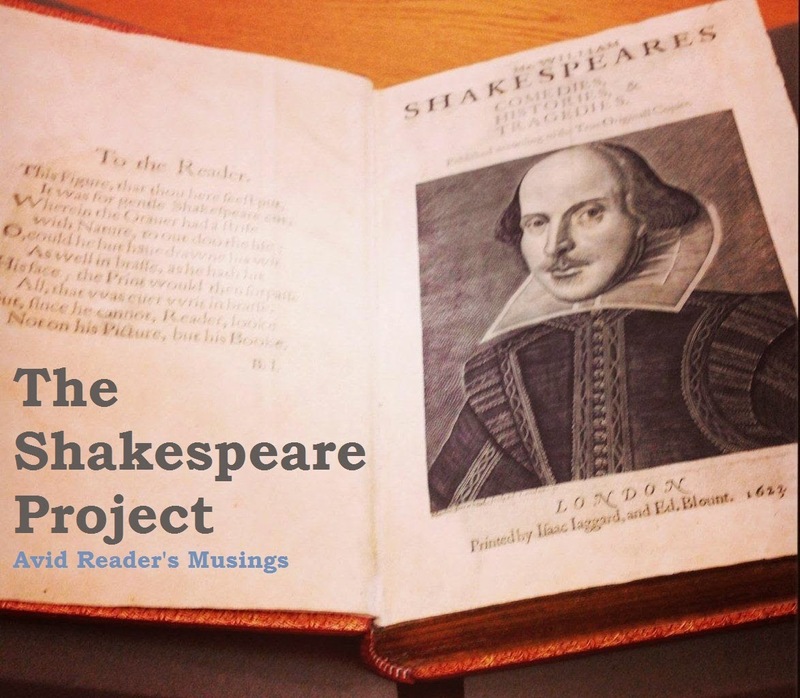 Here's a book on the topic over at Sunlit Pages. 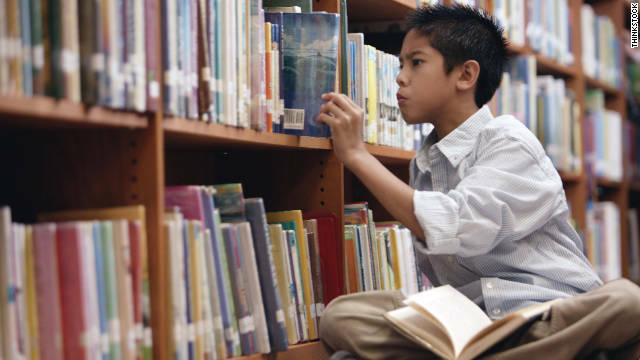 Image from this CNN article on getting kids to read. I’m not a huge fan of short story collections, but this is by far one of my favorites. I love Bradbury’s work and these 19 stories are a stellar example of his skill. Equal parts creepy and poignant this stories dive into the dark hearts of ordinary people. From the terrifying look at parenthood in “The Small Assassin” to the aching desire to be someone other than yourself in “The Dwarf” I couldn’t put it down. BOTTOM LINE: Just fantastic! Short stories aren’t for everyone, but these gems are worth trying out. This would be a perfect book to pick up around Halloween. This one isn’t a mini review because I didn’t enjoy it. Instead I just feel like it’s been reviewed to death by others. I loved it! This poignant story of friendship takes place during World War II. It’s presented as letters and forced journal entries written by a prisoner of war. This alone is interesting, but I wasn’t completely hooked until it switched to another person’s point of view about midway through the book. At that point everything changed. All of a sudden we had context and depth of character and I couldn’t put it down. It’s so rare to find a book that focuses on women during World War II who aren’t waiting at home for their husbands and lovers. This book is not only about women in WWII, it’s about female pilots and spies and the wonderful friendship that was born between Verity and Maddie during that dangerous time. Any romantic subplot is secondary and I thought that was a refreshing change. I won’t say anything else about the plot because the pacing and twists are part of what make it such an enthralling read. BOTTOM LINE: Loved it. Beautiful story, fascinating historical detail, characters that broke my heart; you can’t ask for much more than that! This is the fictional story of a runaway slave named Liz in Maryland. She dreams of the future as she tries to escape those who pursue her. She learns a “code” to find people who will help her and her path crosses with a strange collection of slaves and slave-owners. The story itself fell flat for me. There was a huge emphasis put on Liz’s ability to see the future in her dreams. That element felt forced and I was more interested in some of the peripheral characters than I was in Liz. The most horrifying part of the story is the character of Miss Patty. She was a real person who kidnapped free black people and sold them into slavery at the beginning of the 19th century. BOTTOM LINE: Skip it and read the nonfiction memoir The Color of Water by the same author or Kindred by Olivia Butler. This week's Top Ten from The Broke and the Bookish asks for the Top Ten Best Movie Adaptations. There are some awful ones out there, but these are all examples of adaptations that were well done. BONUS: Life of Pi, I saw this after making my list, but it was so excellent I just had to add it in.